I’ve almost entirely switched out the incandescent and compact fluorescent lights (CFLs) in my home with LED bulbs. LED light bulbs are energy-efficient, affordable to operate, and finally — they’re cheap to buy! 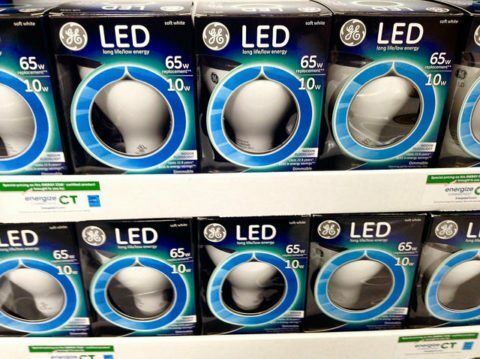 Remember the days when LED lightbulbs were downright expensive? $25, even $50 for a single residential LED bulb? Since making the switch to LED lights, not only are my lighting-related electricity costs decreasing, but I’m also having to replace fewer bulbs. Fixtures in my house that would have already needed replacing with incandescent bulbs after only a few months (like the high-use light bulbs in my living room ceiling fan and bedroom overhead lights) continue operating, and they probably will for several years to come! LED lights are 80% to 90% more energy efficient than traditional lighting such as incandescent bulbs and significantly more efficient than CFLs. LED bulbs generally have a lifespan of 50,000 hours, though some can run 100,000 hours or longer. 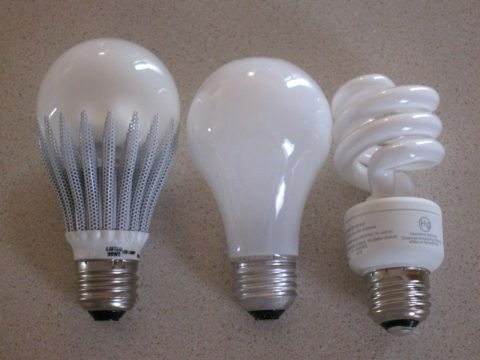 With typical use, we’re talking lightbulb longevity of between 10 and 20 years, or even longer. LED lightbulbs are discarded less frequently than incandescent lights and don’t contain mercury, as found in CFLs — so they’re more environmentally friendly. And, because they use less energy than other lighting, LED bulbs will help minimize your carbon footprint. Win-win! LED lighting can run on a low-voltage supply, such as solar power. Pretty nifty, huh? LED light bulbs emit virtually no ultraviolet light — which reduces damage to light-sensitive objects like paper and rare art. LED lights aren’t hot- and cold-sensitive like traditional bulbs, so they’re easy to operate. And they aren’t fussy in extreme hot or cold temperatures — which makes them ideal for use in refrigerators, freezers, ovens, and outdoor lighting arrangements. LED bulbs are versatile and can be used in essentially any lighting application. They’re also perfect for Christmas and other holiday lighting displays. I’ve been buying LED Christmas lights for several years now with no bulb burnouts. Cha-ching… and ho, ho, ho! As you can see, there are so many benefits to using LED light bulbs! I was sold on LED lights back in the mid-2000s when they were first becoming en vogue for use in residential lighting situations. I just couldn’t afford to buy LED bulbs back then. Now, I’m finding affordable LED light bulbs just about everywhere I shop these days — the grocery store, department stores, IKEA. I’ve done my research and plenty of comparison shopping, and I can finally say that I’ve found my favorite cheap LED light bulbs. If you’re looking to replace only the indoor light bulbs in your home with energy-efficient cheap LED bulbs, these LED light bulbs are one of the best buys. 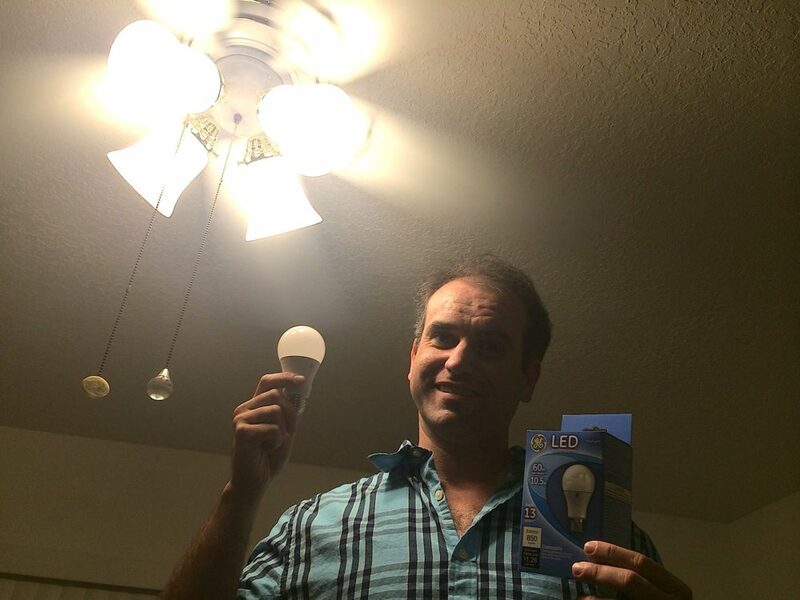 They’re 60-watt replacement LED bulbs sold by Walmart under their Great Value brand name. They really are a great value, too. They pretty much do the job of a 60-watt incandescent light bulb. And, at around $8 for a 4-pack, it’s pretty hard to complain about the price, too. This is the best price I could find on good, all-around LED flood light bulbs for outdoor use. These bulbs splash the equivalent of 90 watts — which is within typical range for the traditional incandescent outdoor flood lights my family used when I was growing up in the 1980s. The virtually weatherproof bulb is perfect for a variety of outdoor uses. At $30 for a 2-pack from Home Depot, I really couldn’t do much better for a high-quality, waterproof LED flood light than this one. I’ll definitely be buying more of these LED light bulbs in the future. 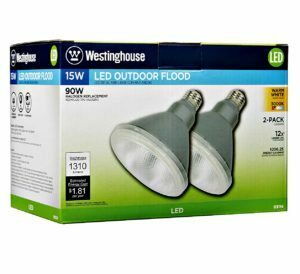 Flood light bulbs are much more expensive than the standard A-type light bulbs that most people use indoors for lamps, ceiling fixtures, and the like. The ceiling fixture over my dining room is a recessed can light, and the most suitable type of bulb for that is a floodlight-style bulb. Even when I was buying incandescent lights, this was the most expensive bulb in the house to replace. But now that I’m converting my home to all-LED lighting, it was the bulb I was least looking forward to replacing, cost-wise. Here’s the kicker — the dining room light fixture is also on a dimmer switch. Now, if you know much about LED lights, you’ll recognize the lighting dilemma here. LED light bulbs don’t get along with dimming switches very well. Place a conventional LED light bulb into a fixture hooked up to a dimmer switch, and what happens? Fizz… flicker… hum… LEDs and standard dimmers aren’t very good friends. LED light bulbs are technologically different than traditional light bulbs. And older dimmers (like mine) aren’t designed for low-energy output bulbs such as LEDs — which generally run on a fraction of the electricity that standard bulbs use. Fortunately, modern dimmable LED flood lights fit the bill. I did a lot of searching before replacing this indoor dimmable flood light. I found my best option, price-wise ($9 per bulb) and performance-wise (lasts 13.7 years based on 3 hours per day usage), in this bulb from Walmart. It runs on just 10 watts, and seems to blanket my dining room with just about the same amount of light as the old 75-watt incandescent indoor flood lights I used to use there. This also means a good chunk of the lighting-related electricity savings in my home will probably come from the replacement of this single bulb. Here’s a good, basic all-around LED light bulb that can be used indoors and in some outdoor fixtures. They’re easy to find in most big box home stores, grocery stores, and department stores, and they’re cheap LED light bulbs, too — $8 for a 4-pack at Walmart. The Sylvania LED 40-Watt A-9 LED lights are not dimmable. So, what do you do if you need to replace A-style (traditional) light bulbs in dimming fixtures? Try the last cheap LED light bulb on my list! In addition to my dining room light, several fixtures in my home are operated by dimmer switches. As I mentioned earlier, LED lighting and traditional dimmers don’t really get along very well. Thankfully, LED lighting manufacturers know that many homeowners use dimmer switches — so they’re making cheap dimmable LED light bulbs. 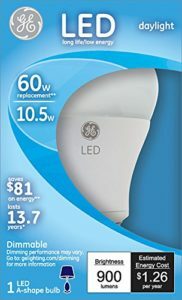 GE is one such manufacturer that, as I found in the case of the indoor flood light, sells A-style dimmable LED lightbulbs for an affordable price. After pricing all of my options, I just bought some of these dimmable LED light bulbs. They sell for about $10 apiece at Walmart. I’m not saying other brands don’t offer good, dimmable LED lighting. 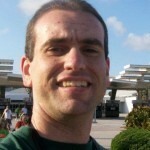 But, based on what was available to me and my budget, GE offered the best all-around, dimmable LED bulbs. Which LED Bulbs Are Best For Dimming?